James Noble has served as our full-time Chief Executive Officer since March 2014, and part-time CEO from July 2008 to March 2014, and is one of our co-founders. From July 2008 until March 2014, Mr. Noble was also CEO of Immunocore. Mr. Noble has 27 years of experience in the biotech industry. He has held numerous non-executive director positions, including at CuraGen Corporation, PowderJect Pharmaceuticals plc, Oxford GlycoSciences plc, MediGene AG, and Advanced Medical Solutions plc. Mr. Noble is also Deputy Chairman of GW Pharmaceuticals plc (NASDAQ: GWPH). Mr. Noble qualified as a chartered accountant with Price Waterhouse and spent seven years at the investment bank Kleinwort Benson Limited, where he became a director in 1990. He then joined British Biotech plc as Chief Financial Officer from 1990 to 1997. Mr. Noble was previously Chief Executive Officer of Avidex Limited, a privately held biotechnology company that was our predecessor, from 2000 to 2006. Mr. Noble holds an M.A. from the University of Oxford. 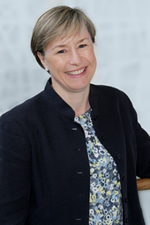 Dr. Helen Tayton-Martin has over 25 years of experience working within the pharma, biotech and consulting environment in disciplines across preclinical and clinical development, outsourcing, strategic planning, due diligence and business development. She co-founded Adaptimmune from the former company, Avidex Limited, where she had been responsible for commercial development of the soluble TCR program in cancer and HIV from 2005 to 2008. Dr. Tayton-Martin transitioned to become Adaptimmune's Chief Business Officer in March 2017, having served as its Chief Operating Officer since 2008, a role in which she oversaw the transition of all operations in the company from 5 to 300 staff, through transatlantic growth, multiple clinical, academic and commercial collaborations and private and public financing through to its NASDAQ IPO. Today, she is responsible for optimizing the strategic and commercial opportunity for Adaptimmune's assets, leading on business development and commercial activities. Her role encompasses all aspects of pipeline and technology assessment, strategic portfolio analysis, integrated program management and commercial planning and partnerships, including the company's strategic partnership with GSK. Dr. Tayton-Martin also serves as a non-executive director of Trillium Therapeutics Inc. (NASDAQ and TSX: TRIL). She holds a Ph.D. in molecular immunology from the University of Bristol, U.K. and an M.B.A. from London Business School. Dr. Rafael Amado has served as our Chief Medical Officer since March 2015 and has over 15 years of experience within the biotech and pharmaceutical industries. 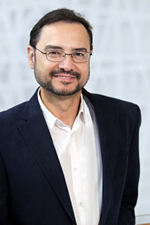 Dr. Amado leads our clinical development and regulatory strategy and is responsible for our clinical trials across the United States and Europe under our strategic collaboration with GSK (LSE/NYSE: GSK), as well as leading the development of our pipeline of wholly‑owned research programs. He formerly served as Senior Vice President and Head of Oncology R&D at GSK, where he was responsible for integrating oncology R&D activities, from drug target identification to clinical development and registration globally. Dr. Amado joined GSK in 2008 as Vice President of Clinical Development, and served in positions of increasing responsibility. He oversaw the development and registration globally of over 15 novel indications across six products and led the development of a pipeline of products with companion diagnostics in novel areas of cancer biology. Prior to joining GSK, Dr. Amado was Executive Director of Therapeutic Oncology at Amgen from 2003 to 2008 where he was responsible for development activities of several assets, including the development of products in molecularly characterized tumors. Dr. Amado trained as a Hematologist/Oncologist at the University of California, Los Angeles, where he remained as faculty for eight years until joining Amgen in 2003. He holds an M.D. from the University of Seville School of Medicine, and performed his residency in Internal Medicine at Michael Reese Hospital, a University of Chicago Affiliated Hospital, and his fellowship in Hematology/Oncology at the University of California, Los Angeles. Adrian Rawcliffe has served as our Chief Financial Officer since March 2015 and leads our financial strategy and operations, as well as Investor Relations, corporate communications, manufacturing and supply chain and global IT and facilities. He has 18 years of experience within the pharmaceutical industry and most recently served as Senior Vice President, Finance of GSK's North American Pharmaceuticals business. Mr. Rawcliffe currently serves as a non-executive director of WAVE Life Sciences (NASDAQ: WVE). 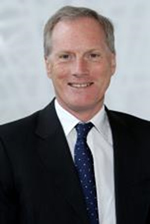 Mr. Rawcliffe joined GSK in 1998 and his other senior roles at the company included Senior Vice President Worldwide Business Development and R&D Finance, where he was responsible for all business development and finance activities for GSK's Pharmaceuticals R&D business and Managing Partner and President of SR One Ltd, GSK's venture‑capital business. Mr. Rawcliffe qualified as a chartered accountant with PwC and holds a B.Sc. degree in Natural Sciences from the University of Durham, U.K.
William (Bill) Bertrand has served as our Chief Operating Officer since March 2017 and is responsible for a range of operational functions including compliance, risk management, human resources and legal/IP. Mr. Bertrand's prior experience includes a 12 year tenure at MedImmune, where he served as its first General Counsel and Chief Compliance Officer, along with holding a variety of operational and corporate strategy roles. He has also formerly served as Executive Vice President, General Counsel for Infinity Pharmaceuticals, Inc., and as Senior Vice President, Acting Chief Operating Officer and General Counsel for Salix Pharmaceuticals, where he remained as General Manager to help finalize the integration of the company's $14 billion acquisition by Valeant Pharmaceuticals in April 2015. He is currently a member of the board of directors of Ardelyx, Inc. (NASDAQ: ARDX). Mr. Bertrand received a J.D. from the University of Wisconsin and a B.S. in biology from Wayne State University.